Our Remanufactured Nissan Xterra Steering Racks replace OEM Part #49001-ZP50A (2005–2015 Models). Please choose your Model Year from the dropdown menu below to guarantee fitment. Unlike other Auto Parts, the Rack and Pinion isn’t usually serviceable on-site by a mechanic. It must be removed and replaced. Why? Common problems reported by Nissan Xterra owners are fluid leaks and noisy squeaks caused by worn out or deformed internal Seals that cannot be replaced until the Gear Assembly has been removed from the vehicle. SteeringPros, LLC replaces these Inner Tie Rods, Seals, and all other unusable components per our Reconditioning Process. Afterwards, the Steering Rack is reassembled and tested using a computerized simulator that outputs hydraulic pressure levels to OEM specifications. 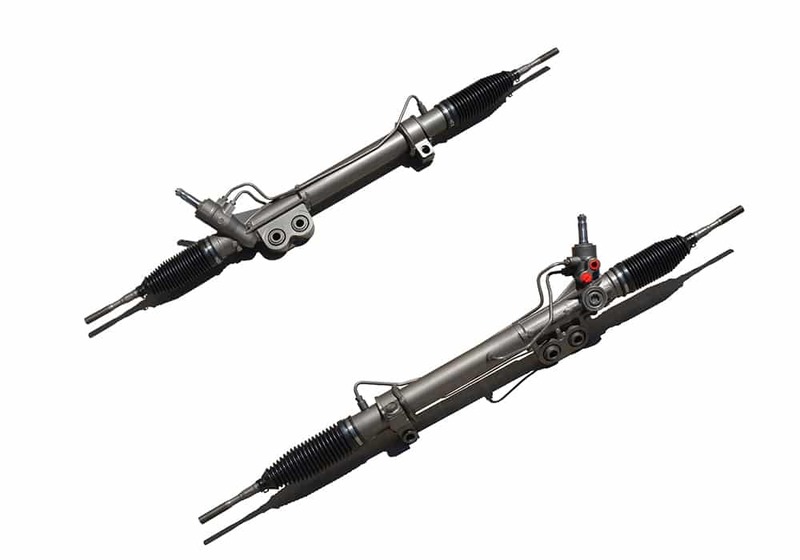 2005–2015 X, S, SE and PRO-4X Models: Hydraulic Power Steering Rack interchanges with Nissan OEM #49001ZP50A / #49001-ZP50A, and replaces obsolete Part #49001-ZP00A and #49001-EA000. A: There are 1 SKU available for 2005–2015 Nissan Xterra Steering Gears, depending on the Model Year. Select your vehicle’s Model Year from the dropdown menu above to guarantee the exact fitment. If you need to confirm the exact Year / Make / Model of your vehicle, use this Free VIN Decoder. Our Nissan Xterra Steering Racks don’t give a lot of fuss—they just perform. Our products are an exact fit compared to the OEM Part, and we’ve simplified the Checkout process so that you can spend more time focused on the repair and less time online. Click ‘Select Options’ to choose Model Year and Labor Warranty and Checkout. Orders process same-day if placed by 3:00 PM ET.